Photography by Kerry Jago Promotional film by Resolve Film. 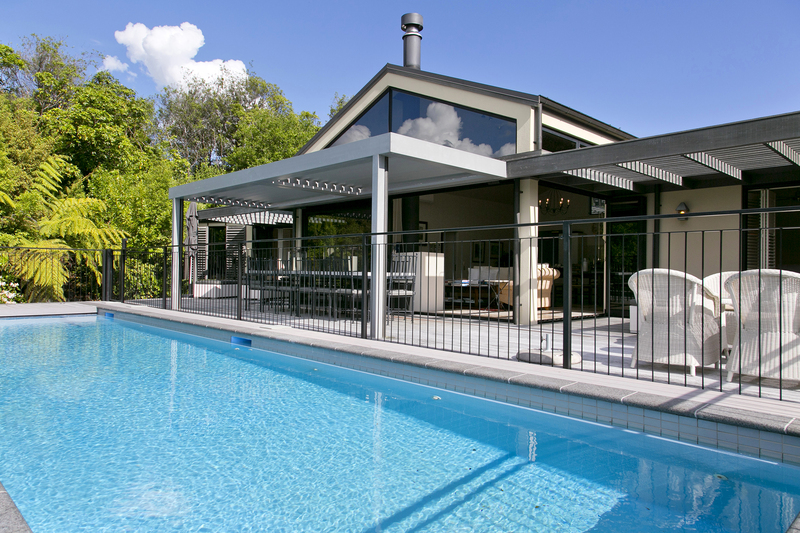 Nestled on the shores of Lake Taupo in the centre of the North Island, The Point Villas provide the perfect base from which to discover the delights of New Zealand. Here, in an exclusive private estate, guests enjoy peace, privacy and all the spoils of a first class stay in our luxury accommodation. 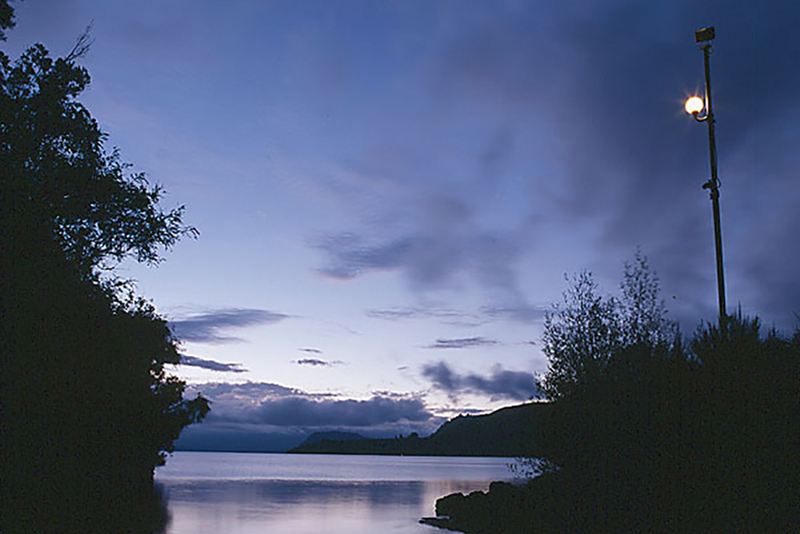 The beauty of New Zealand’s largest lake and the surrounding mountains is at the doorstep. The directions alone are delicious: Take the private road that runs along the water’s edge until you can go no farther, tap in a secret code and watch the gates swing open — then follow the beautifully manicured drive until you find two villas nestled above the crystal-clear waters of Lake Taupo. One family once owned the North Island’s Whakamoenga Point, and most of its 58 acres remain blissfully undeveloped bush. By booking The Point Villas (each can accommodate up to two couples), outsiders gain entry and, with it, access to the erstwhile estate’s tennis courts, jetty, helipad, secluded bushwalks, and private beaches. 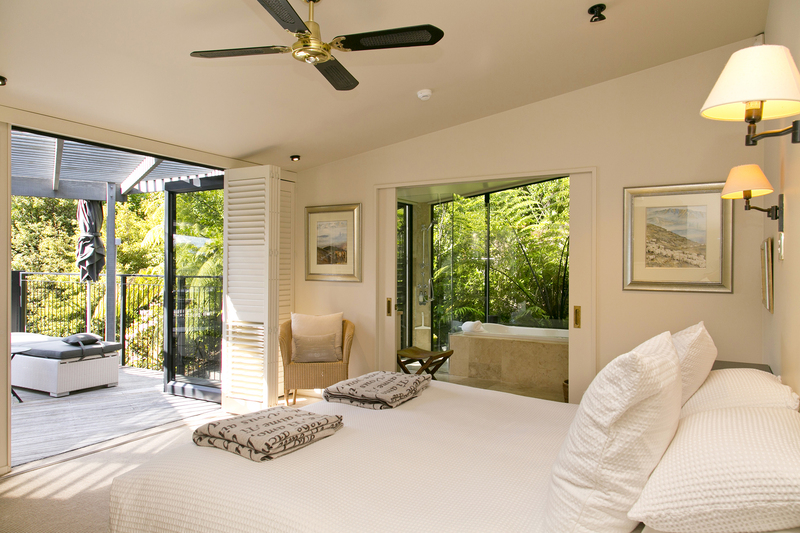 The villas are designed to make the luxurious most of the environment, with plunge pools, verandas, sliding glass doors, and wood-burning fireplaces. A chef is on call for those unmoved by the well-equipped kitchen and barbecue. When to go: The warmer months (October-March), to take full advantage of the lake. Which room to book: Villa One, for its breathtaking views and sweet little brook.